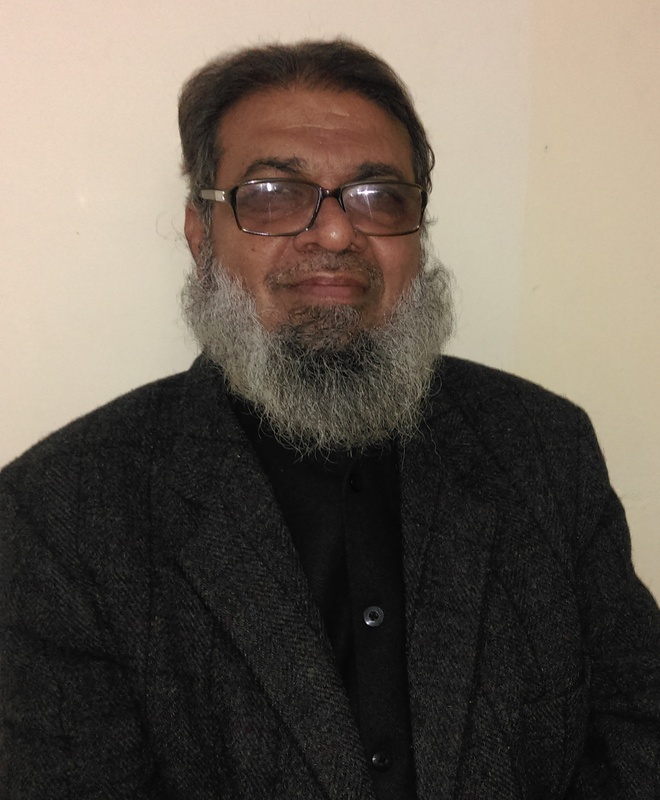 Dr. Shamim Ahmad is Distinguished Professor of Ocular Microbiology and Officer In-Charge as well as Teacher In-Charge (Administrative Affairs) at Ocular Microbiology Section, Institute of Ophthalmology, JN Medical College, Faculty of Medicine, Aligarh Muslim University, Aligarh, India being working since January 10, 1983. Prof. Ahmad had has also served as Faculty on deputation from AMU Aligarh for about 5 years at Faculties of Medicine in the Department of Clinical Microbiology, Al-Arab Medical University, Libya and Department of Medical Microbiology, College of Medicine, Faculty of Medicine, King Khalid University, Saudi Arabia. He worked at the Department of Microbiology, Central Drug Research Institute (CDRI), Lucknow, India as a CSIR (New Delhi) - Fellow to earn his PhD degree in 1982. He obtained his Post Doc. training in various Departments of Microbiology at the Universities of world repute in six countries. Prof. Ahmad has been a recipient of at least 6 International Fellowships including "DAAD (W. Germany), "JSPS"(Japan)"ROYAL SOC. London"(UK),"DAAD"(Germany),"TUBA"(Turkey) and "SAIA"(Slovak Republic) as a visiting Professor mostly sponsored by Govt. of India and respective World Academies. He has the honour of many research manuscripts published in highly reputed journals beside two Book Chapters contributed in two Foreign published International books and Supervision /Co-supervision of about 44 theses and presentation or abstract publications of large no. of abstracts at National and International conferences, Publications some of them being presented in USA, Canada, United Kingdom, Saudi Arabia, Libya and Pakistan, having won "Best Paper Award" and Newspaper (Times of India) attention and Chairing many Sessions in such Conferences. Beside he has visited as many as 23 countries some of which several times for his academic purpose. Currently, Prof. Ahmad is honored to be member in the Editorial team including Chief Editor of at least 36 International Journals of world repute. (Dr. Shamim Ahmad research includes Bacterial and Fungal Infections of the Eye and their Chemotherapy, Use of LYSOSTAPHIN in most dreaded Eye infections caused multiple Resistanr Superbugs especially MRSAs, Antimicrobial and Clinical uses of Honey for their Antimicrobial Activity and MEDICINAL USES specially in Ophthalmology and Surgery, Paediatrics, Dentistry, Gynaecology, Plastic surgery, ENT, Unani Medicines and related fields. Response: Its original approach and research work done. Response: Illustrative presentation of results and deep discussion with reference support. Response: Its aims and conclusions. Response: Theme and Thinking of authors supported by results of the findings in a scientific paper are important. Response: Inviting and Accepting most interesting articles useful for scientific community and patients. Response: Always of Eye Benefits. 9. Are there any particular areas which you would like to see, or expect to see, collaborate? Response: Ocular Microbiology, Eye Infections, Antibiotic-Treatments & Resistance, New Approaches of Treating Resistant Cases of Eye Bacterial Infections. Response: Useful for scientific approach in the treatment and surgery. Response: Through strong experts of the field. 12. Your editorial policy is to be eclectic and welcome perspectives from other disciplines and schools. How does this translate into the types of contributions you encourage? Response: Expert as Ocular Microbiologist. 13. What do you see as the merits of journals, as opposed to book series, as a means of scholarly communications? Response: Well popular among ophthalmologist and having high Impact Factor too. 14. How do you differentiate International Journal of Ophthalmic Pathology with other journals in the field? Response: Beside general themes, it can publish work in allied ophthalmic fields like Ocular Microbiology,Pathology etc….